I'm building up and old BRC Gonzo into a SS and am looking for a really good set of v-brake pads. Back in the day I had a similar bike but I'm hoping that between then and now someone has developed some great pads. If it helps the bike is setup with Deore LX. Thanks for your help. I like the dual compound, but all the blacks are good too. My experience has been that Kool Stops aren't anything special. I've also used Avid Rim Wranglers, Ritchey double compounds, and Kool Stop greens, for ceramic rims, albeit I used them on normal rims (they operate like normal). Shimano pads are also not anything special. In my experience, Delta Aztecs seem to be the only ones that have any noticeably better bite than the basic standard. I recently got some trials compound v-brake pads from discobrakes.com. I'd never run trials compound pads, before, and I'm always looking for more power, hence I got them. They are grabby and noisy, but not so grabby that I don't find them useless for even just normal riding. 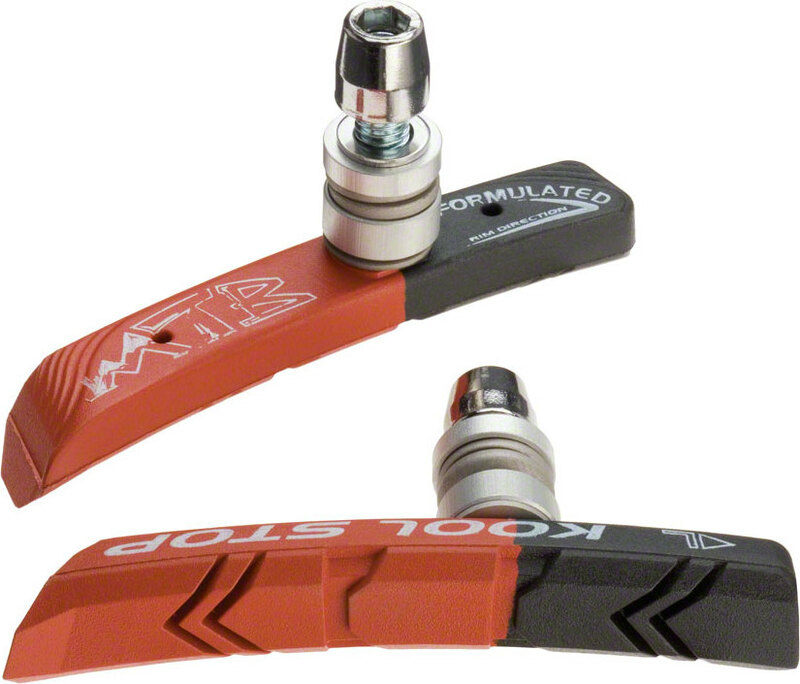 They are on my commuter bike, and I appreciate and can use the increased power. The biggest caveat with them is that they have very little power when wet. They are worse than standard pads when wet, hence discobrakes info. is a bit lacking. Also, the noise might bother some people. But, for standard riding, I'd recommend getting Delta Aztecs. 2nd that. I had the Aztec2's (don't know if there was any difference between those and the originals) and they were the best rim brake pad I used. I've used the Aztec's and the Kool Stops. Both are a good brake pad. I like the Kool Stops a little bit more due to the leading wiper edge. Helps with mud/debris clearing before the brake pad fully contacts the rim. Yep, great in the PNW...we always used the full Scott Mathauser compound (Salmon) versions.